One of my goals for 2015 is to cycle 10,000 km, which translates as almost 200 km per week. If I cycle to and from work every day (which I do almost religiously), I get about 100 km in, which leaves me a 100 km top up each weekend. I have made an effort to do a mix of interesting rides in the weekends in January. It’s been great fun getting the kms in. If the next 11 months cycling is as enjoyable I’ll be lucky, and very happy. Start the year as you mean to go on. I met up with Jenny and cycled over to a Richmond coffee shop where about 15 members of the LBC assembled to go for a New Year’s amble. We pottered along to Isleworth, Osterley Park, Brentford and back to Richmond Park and I had the chance to catch up with LBC friends and also meet some new ones at a pace conducive to pleasant conversation. Cycling back home took the day’s distance total to 67 km. 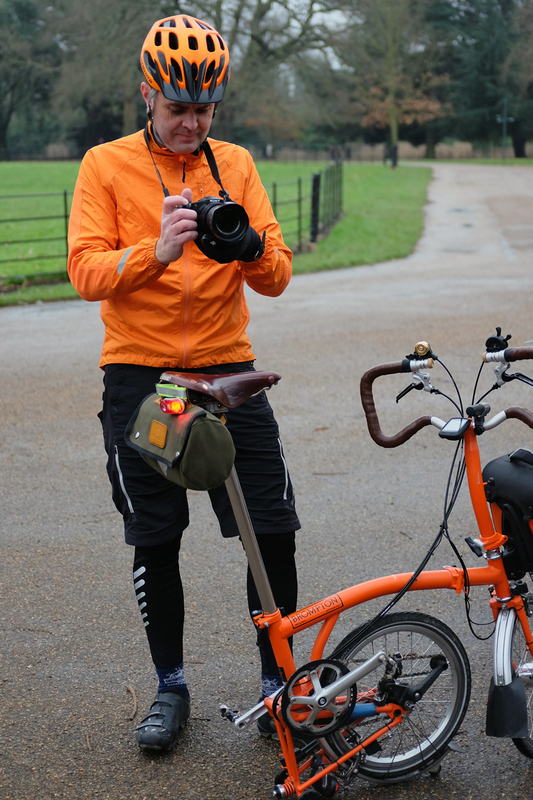 Orange Brompton made a nice video of the ride – to view the video at its best, be sure to select the highest quality option from the settings menu on YouTube. 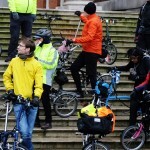 Audax UK organises long distance rides for cyclists. Events range from 50 km to 600 km in length. On a whim I decided to sign up and put my name down for a ride that started in Oxford on a Saturday morning. The weather was pretty grim for most of the day. It rained until 3pm, which meant wet hands and feet, and a substantial puddle developed inside my bag when, at one point, I forgot to put the waterproof cover on. I found I generated enough heat cycling along to not get that cold, but on the few occasions I stopped, I found I got very cold very quickly. An audax is not a race, more an endurance and self-sufficiency test, since you need to cycle the distance unsupported within a certain time frame, averaging between 15km/h and 30km/h. I arrived at the start – a park and ride car park – with just enough time to get changed and pick up my brevet card before the briefing and the off at 8am. Sunrise was not long after 8, but because of the rain it took a while to brighten. The first third of the audax was always spent within sight of other cyclists, so routing was quite easy as there was always someone in front to follow. 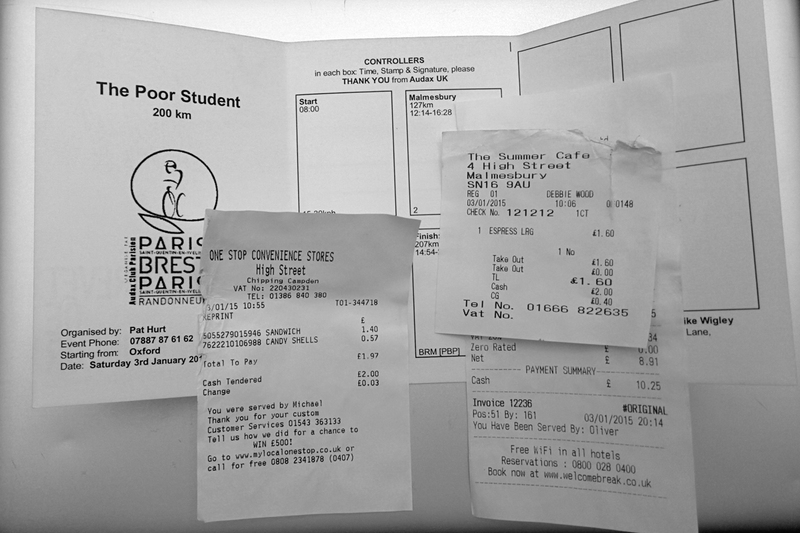 I reached Chipping Camden after 60km where I stopped to pick up food with an all-important receipt which was used to prove I made it to the check point. The second part was dominated by hills and rain. There were some long hills at a fairly steep incline where it would’ve been handy to have had my smaller chainring fitted, however no hills proved to steep to cycle up. The second checkpoint was Malmesbury. I picked up some flapjack and iced bun shaped carbohydrates from a bakery and a machiato with sugar from a cafe. It was around this time that it stopped raining. It took about an hour to dry out and there was a short but fantastic period before sunset where it was light and I was dry. Happy days. The clouds turned a nice shade of pink at sunset, and the remaining 4 hours were spent cycling along country lanes in the dark. Most of the time I cycled by myself, but I did cycle and chat with a number of other audaxers over the course of the day. There seemed to be a roughly equal mix of solo cyclists, couples and groups. 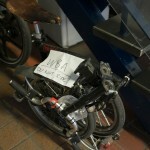 Cycling on the Brompton was no problem. I cycled at a pace somewhere in the middle of the pack. 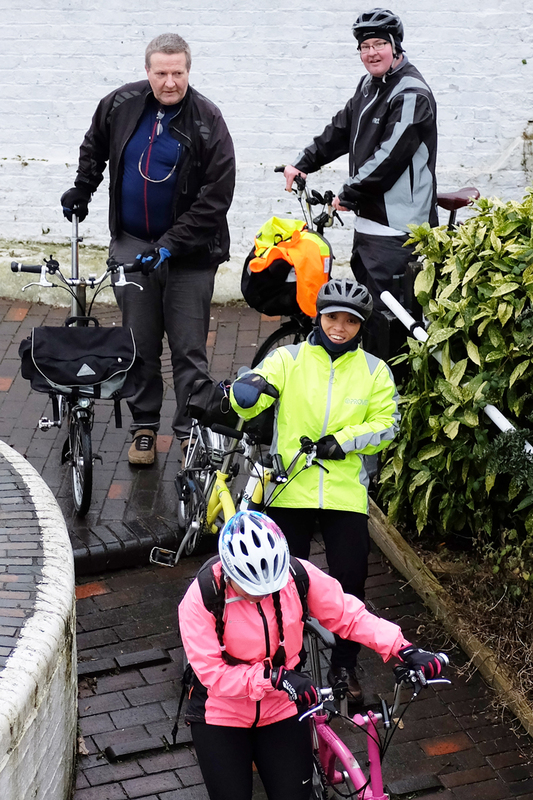 It amused me that a number of cyclists chose to do this without any mudguards, these individuals being instantly recognisable by the big brown stripe all the way down their back. I experienced difficulty with my derailleur which became slow to operate as it got dirtier. For the last 50 km I would flip the gear shifter only to have to wait between 5 and 20 seconds for the gear change to actuate. I’ve experienced this issue before on rides in similar conditions. Sadly I don’t have any pictures from the cycle ride itself. This was the first time I was using my new Garmin Virb video camera which I had mounted on the top of my helmet. It worked fine at home and in the car on the way to the event, however none of the video shots taken outdoors worked (all showed 0 bytes). This was a huge disappointment as I spent the day recording shots to edit together to make my first film, unaware that they weren’t recording correctly. 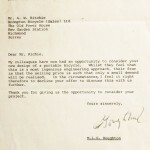 I will have to do another audax event to complete the project. 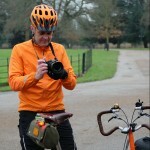 I had ridden a sportive before – a ride from Huntingdon in March last year, organised by Wiggle, and ridden on my road bike. 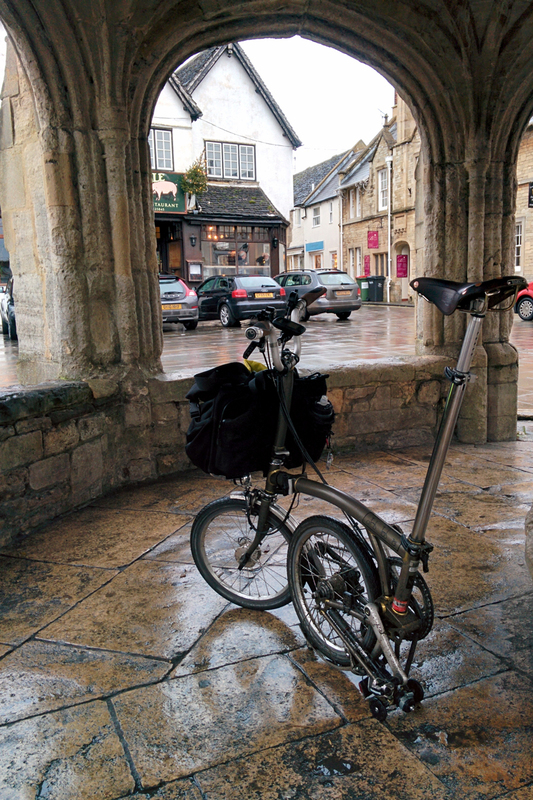 This was the first sportive ridden on my Brompton, but having done the 200 km audax the previous weekend without navigational assistance, I was feeling pretty confident about the sportive. Not having prepared in an organised fashion the week before, I decided to up my game and write a packing list, which meant I left home in the early hours feeling organised. 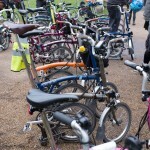 I had planned on giving a lift to three Brompton friends to the start, but sadly two of them were feeling poorly, so I picked up Jenny and drove to the start of the race which was in Osterley Park, West London. We checked in and met with other Bromptonauts Chris, Daniel and Carlos. Chris and Daniel both also opted for the ‘long ride’, so we made our way to the start at the early end of the window to give us maximum time to finish the event. 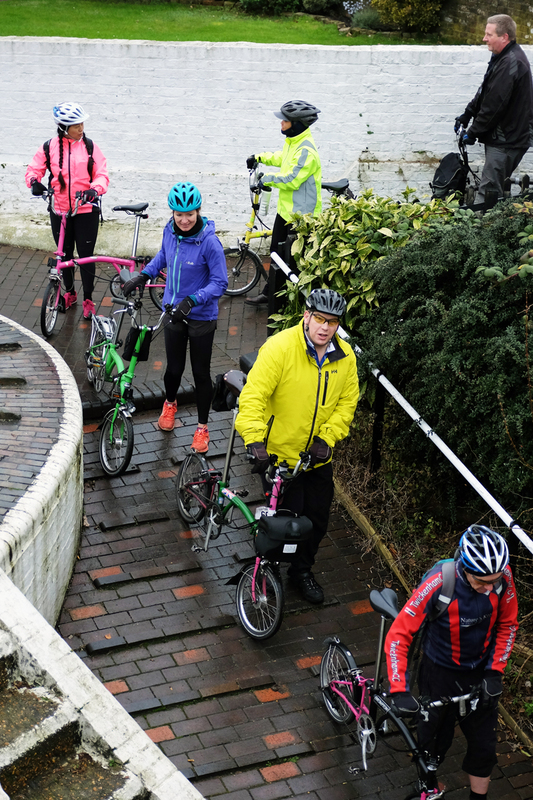 We had to wait at the start for around 20 minutes, which wasn’t that pleasant as it was very cold, and because of the early set-off we missed on meeting up with Chris B, and all the other London Brompton Club members who were doing the medium route. We set off slowly. Chris went on ahead as he wanted to cycle at a fast pace. After about 45 minutes Daniel’s cold was giving him chest pains and he took a sensible decision to abort the long route. Jenny and I continued at a slow but steady pace, conducive to convivial chat. It was a cold morning and my fingers were frozen for the first couple of hours. I vowed to buy some proper cold-weather cycling clothing! It was dark by the time we finished, but we made it back with no problems, which was cause enough to celebrate. I took a video of the day, which you can see below. Only the second time using this video camera on a long bike ride, and I’m thinking it’s best to keep the video shorter in the future.. plus time-lapse from a helmet-mounted camera isn’t that great! Still it’s a start and paints a picture of the day. On Saturday I joined three other Bromponauts on a day trip to Devon to conquer Pork Hill and Rundlestone Hill in Dartmoor. With my cycling resolution I need to average about 200 km each week. Commuting each day makes up 100 km, which means I have to do extra on the weekends. 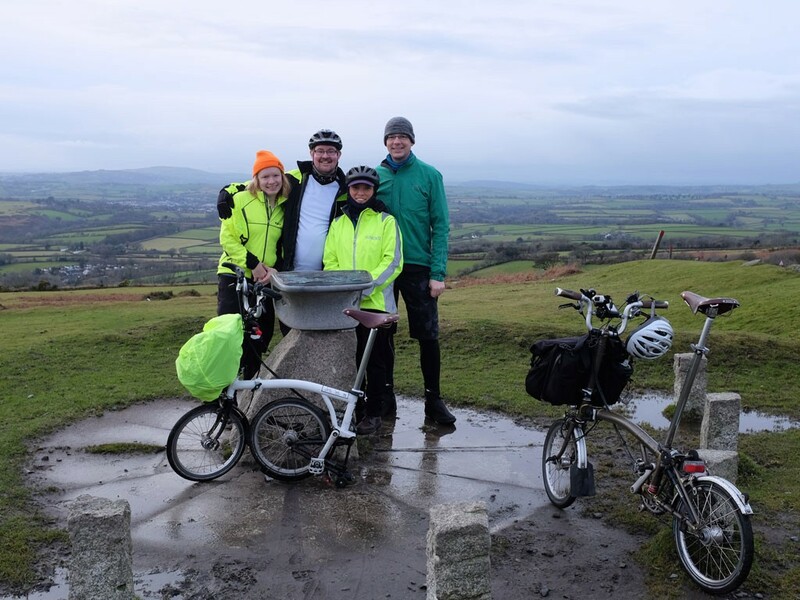 This ride was organised by Daniel, who wishes to cycle the top 100 cycling hills in the UK. 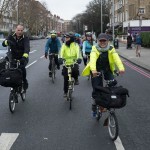 I left my house at 06:30, met with Jenny and Graham, and cycled the 10 km to Paddington. 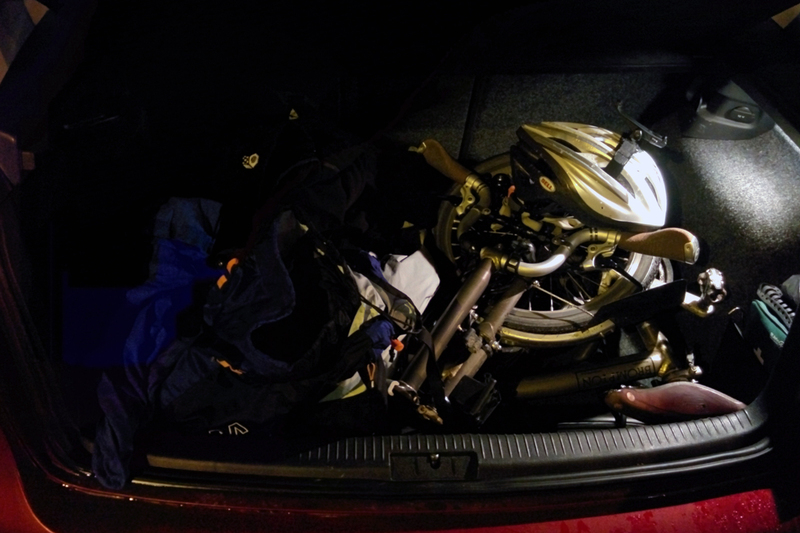 It was dark and cold, but I’d purchased some winter gloves and a merino buff the day before so I was cosy. We met with Daniel at Paddington Station, grabbed some breakfast and took the train, which arrived at Plymouth Station at 11:30. The met office had issued a weather warning for the Devon moors forecasting a band of rain, sleet and snow causing icy patches in the morning. However, when we arrived the sun was out and conditions were good. The route through Plymouth was mostly shared or dedicated cycle pathway, and was pleasant. As we left the city we joined tracks which slowly worked their way towards Yelverton. We were treated to homemade sandwiches for lunch by Daniel’s mum, Jo. I’ve been a fan of peanut butter, jam and banana sandwiches since school. It’s actually a pretty good combo for a long distance cycle and was really happy that Jo had made this for me. She used cashew nut butter instead of peanut butter – to avoid the unnecessary use of palm oil – and thus also giving me a clean record on my 5th resolution! We then set off and climbed even higher to the top of Rundlestone. There was ice on the ground at the top. It was now beginning to get dark. We made our way to Princetown before heading back to Yelverton. Daniel fell off at speed on a corner. Both Daniel and his bike were a little worse for wear after the tumble, but soldiered on determinedly as we headed back to Plymouth. Cycling in the dark brought a completely different atmosphere to the cycle paths we had ridden in the daylight and was also a lot of fun. We arrived back at the station in good time for the train and felt a great sense of achievement. It had been a very enjoyable day. We had a relaxing train ride back to London before facing the 10 km ride back home. 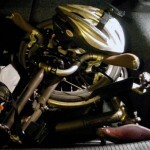 When I reached Swain’s Lane it felt like my bike was in 3rd when it was actually in 1st – like me, my muscles were tired. I made it home at around 00:45. It was so enjoyable in fact that I am tempted myself to try all 100 top UK cycling hills myself. Something for me to think about. 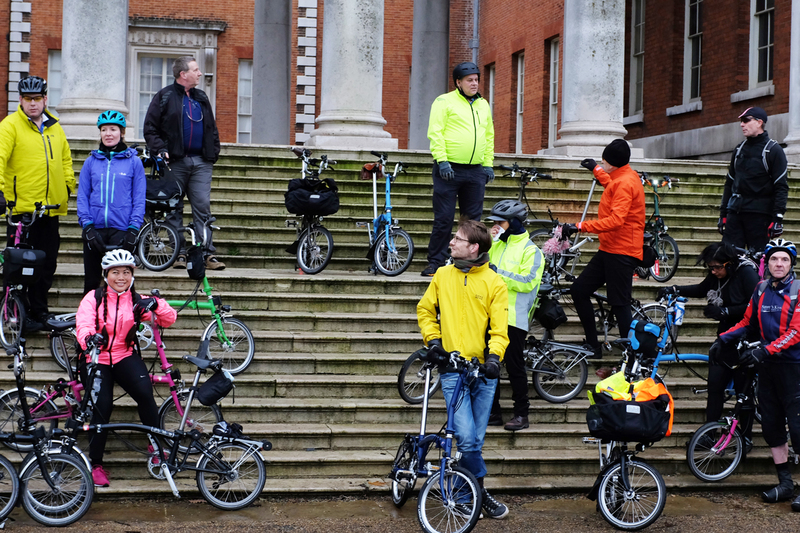 Several times previously I had seen Brompton factory tour trips listed on the London Brompton Club’s events page but hadn’t been available. 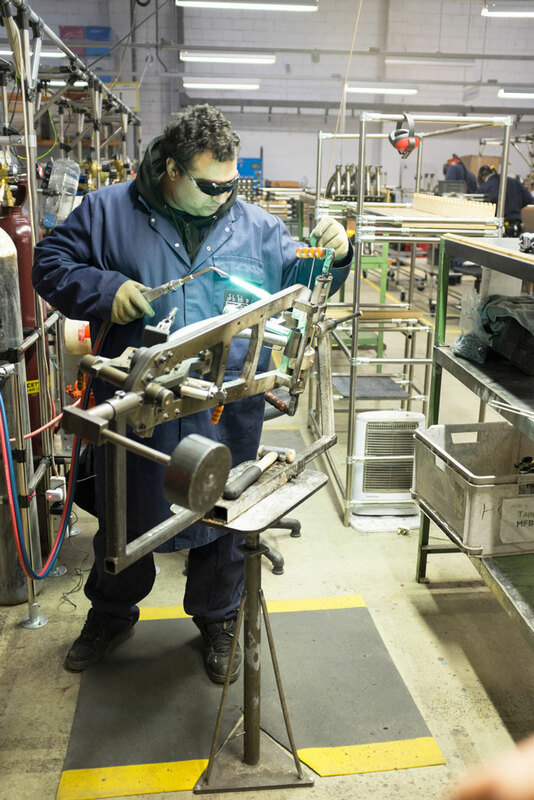 When I saw I was available for this one I quickly put my name down – a ride from Brompton Junction (in Covent Garden) out through London to the factory near Kew and a tour of the factory. 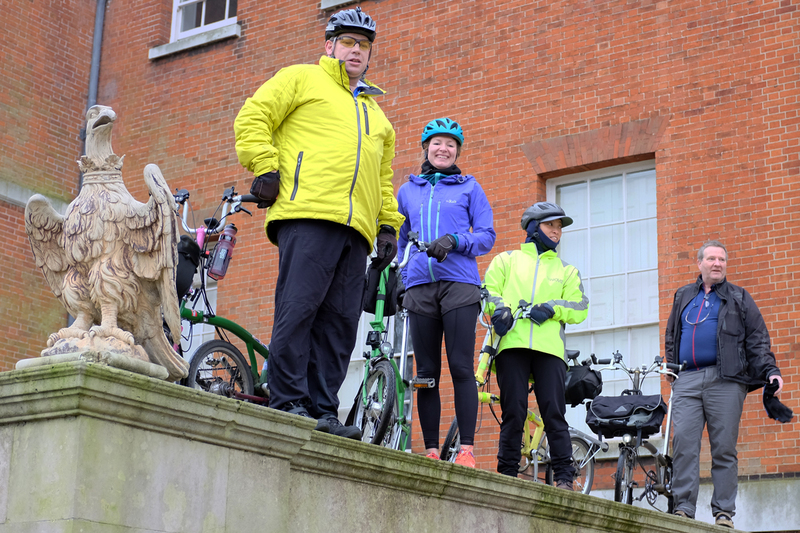 I met with Jenny and cycled to Covent Garden where we left our bikes at Brompton Junction (and admired all the shiny bikes in the shop), met with a few others and went over the road for a coffee and a sandwich. 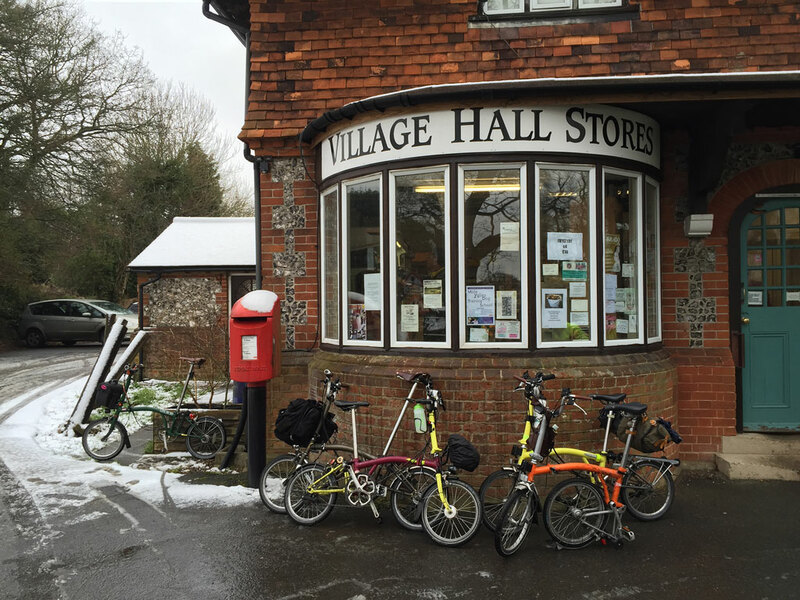 At the appointed meeting hour a 25-fold of Bromptons and their proud owners assembled outside the shop. 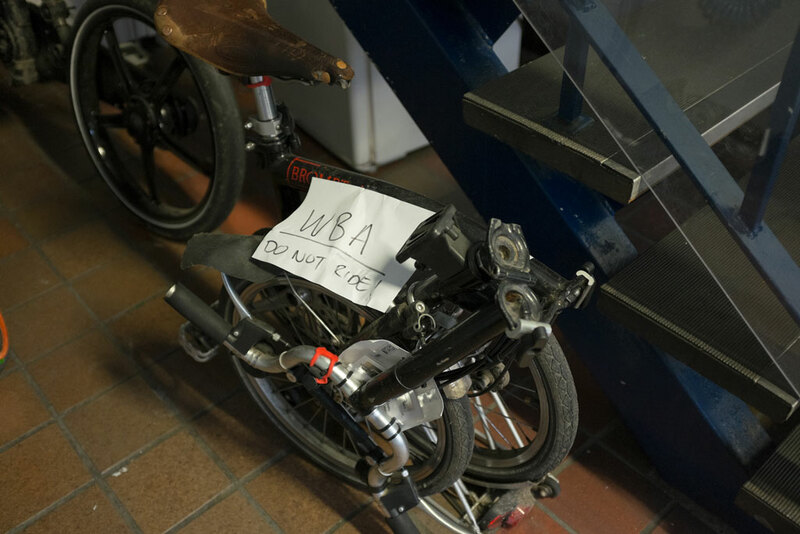 The ride to Covent Garden was led by Brompton employee Yavor. We made our way to Trafalgar Square, along The Mall (wonderfully closed to motor traffic for some reason), through Kensington, down to Hammersmith and along to Kew. 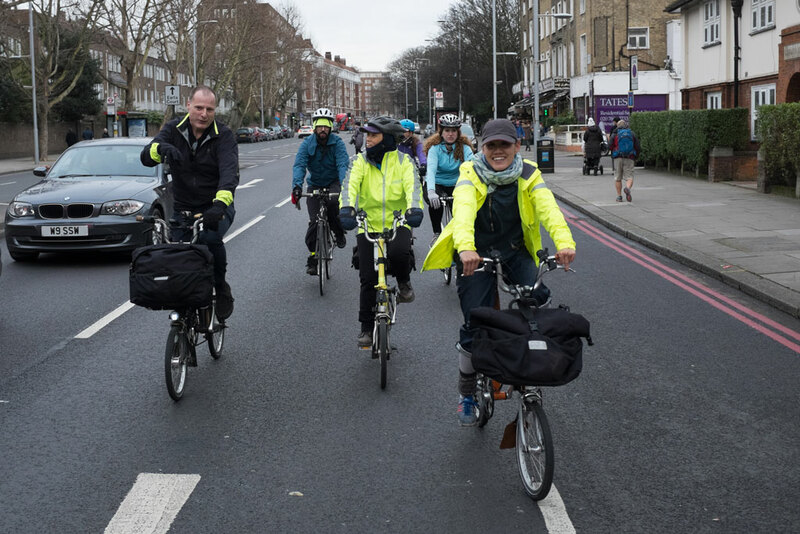 Traffic on the roads was quite heavy, but cycling in a large group protects makes you pretty visible, so the cycle itself was leisurely and sociable – with the chance to chat to the others whilst pedalling. We arrived at the factory, stowed our bikes, had a safety briefing and split into two groups for the tour. Post-tour we had a quick drink and chat at a nearby pub before heading back. It was an interesting day, fun to see the other Bromptoneers as always (all interesting individuals, as bespoke as their bikes), and interesting to see how the bikes are built and assembled. Ride detail (with Garmin crash on the way home). As I left home it was snowing and cold. 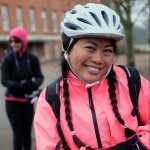 I cycled to the official start in Richmond, meeting up with two of the others along the way. We had a coffee in the warmth before setting off on our ride. We hadn’t got far beyond Kingston when a piece of glass made its way through the tough Marathon tyre on David’s bike and caused a slow (but quick enough) puncture. Having fixed this and getting back on the road we were then handed another blow with a second rear wheel puncture. It was cold out, but the repairs were quick and we were lucky the rain/snow had stopped. 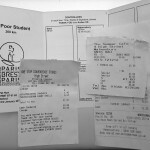 After about 2¾ hours we reached Village Hall Stores in Headley, where we took the opportunity to defrost with a coffee. Back on the road and it was raining again, and as we were now outside of London and it a hillier area there was plenty of snow and slush on the road. We had plenty of challenging hills to climb too, so staying at a good temperature was a constant battle of changing layers, hats and gloves in syncopation with with the uphills, downhills and changes in weather. Afterwards we stopped off at the White Horse for a very welcome lunch break. The pub was busy, but we were lucky and found a table to squeeze around. We managed to find space for our folded bikes and made good use of the radiators and hand dryers for some much-needed impromptu drying of kit. We couldn’t stay too long as it would soon be dark and we wanted to make as much progress as we could in daylight. The toughest two hills were Leith Hill and White Down Lane. 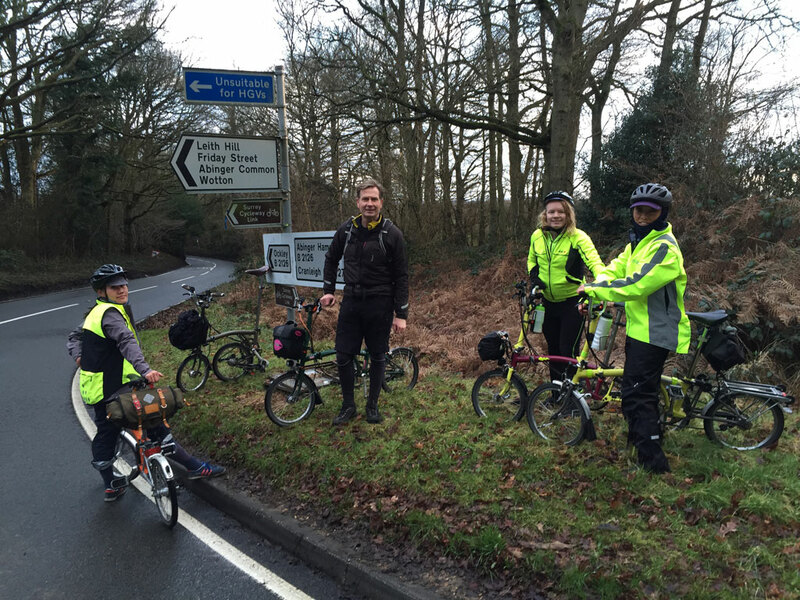 Leith Hill was quite long, challenging, but never too steep. The sun was setting as we started the climb. With our ride leader claiming ‘no more hills’, White Down Lane came as a bit of a surprise! It gets to over 18% in places and wasn’t short! In fact it seemed never-ending, but was a very enjoyable climb with lots of twists. When we got to the top we were assured that that really was the last of the big climbs for today. It would pay for me to study the route before leaving home! Then we had a few miles of some very pleasant cycling back to Dorking station. We got there at just the right time to buy a ticket and run to catch a train, then it was a short cycle home from Victoria via The Mall, The Strand, Euston and Camden. This ride was really enjoyable and had a bit of everything. We had some amazing scenery – I always enjoy cycling out of town. The cold and wet weather didn’t dampen our spirits, just made it more of a challenge, and more of a triumph when we all made it back safe, sound, and happily tired. January has been a great month for me for cycling. On top of the daily commute, I’ve managed to do an interesting and fun ride each weekend, and I’m on target for hitting my 10,000 km 2015 mileage goal. 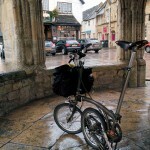 Hi James… I read your postings on your European trip with much interest (certainly one of the best blogs on Brompton touring!). I live in North Queensland and do a bit of biking localy, but I am planning a trip to England (Felixstowe, where I went to school, leaving in 1964) in June/July and will pick up a Brompton when I get there. One of the things I would like to do is the Dunwich Dynamo, and would be very keen to join someone else, at least for the first bit out of London. I will probably be a bit slow, but will be happy to dawdle once out of London. Any ideas? 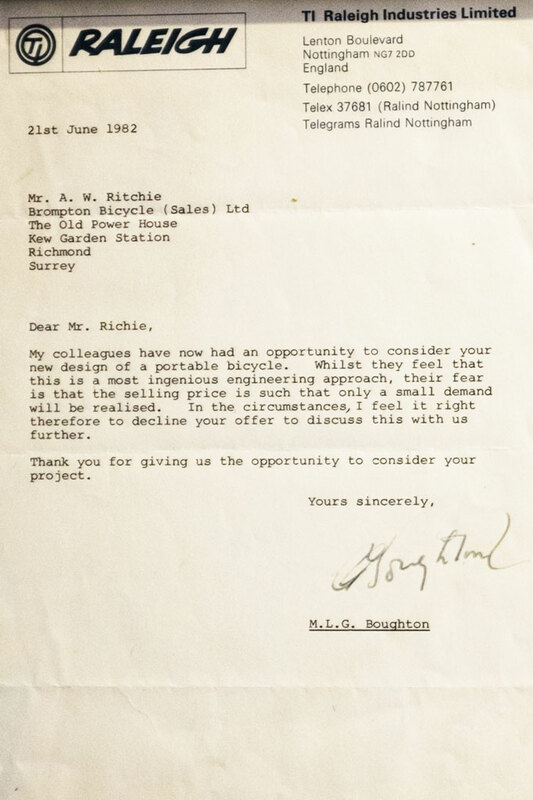 Hi Jeremy, thanks for reading and your kind words 🙂 There will be a number of Bromptons on the Dunwich Dynamo this year, so you’ll be in good company. 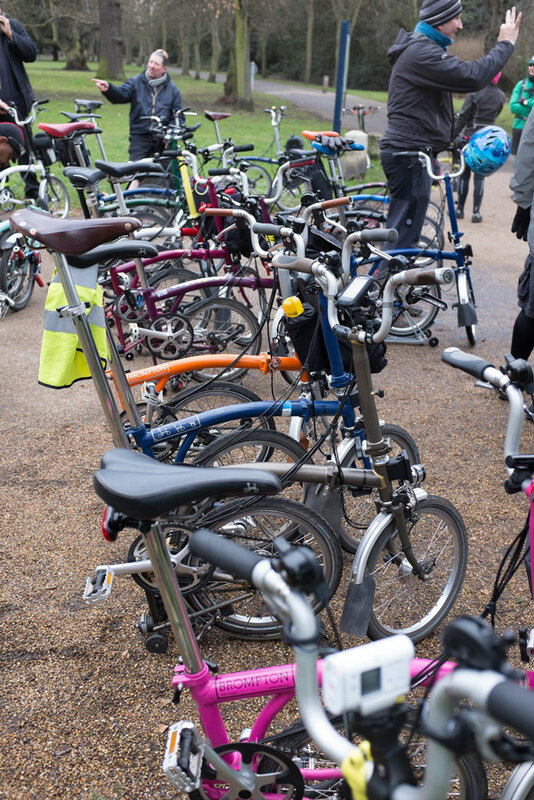 If you are on Facebook, please look up and join the London Brompton Club group and check the events page where our Dunwich Dynamo efforts will be coordinated. Hope to see you there! You put my cycling efforts to shame! Good stuff.